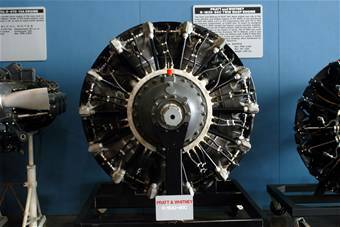 The Pratt & Whitney R-1830 Twin Wasp was an air-cooled supercharged radial aircraft engine with fourteen cylinders arranged in two rows. Bore and stroke were both 5.5 inches (140mm). It was first introduced in 1932 and had a high compression ratio (6.5) requiring very high octane gasoline. Successive models progressed from single-stage to two-stage supercharging and then to turbosupercharging. 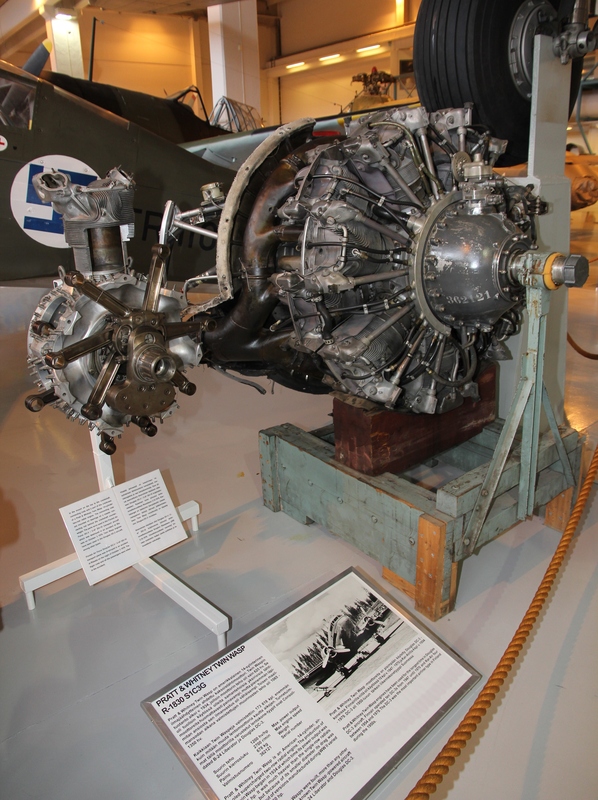 The R-1830 was efficient and mechanically reliable and was used on a large number of aircraft models. 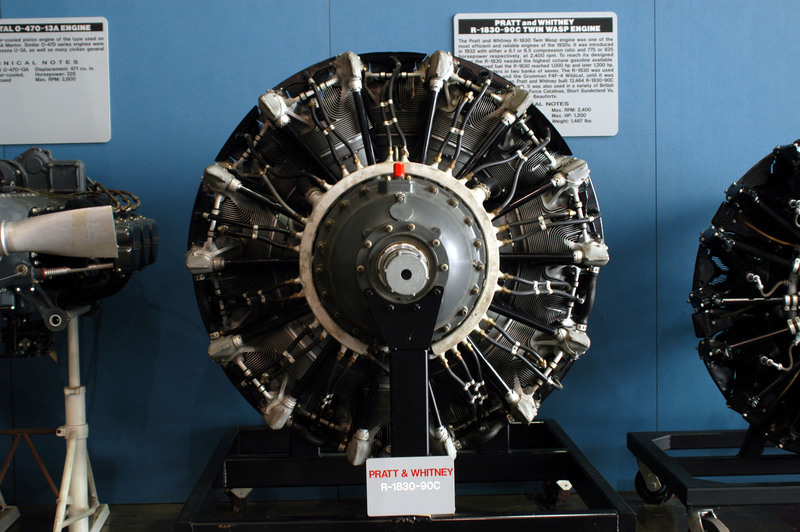 The -43 and -65 marks have been described as "probably the most realiable air-cooled radials ever built" (Simons 2012). 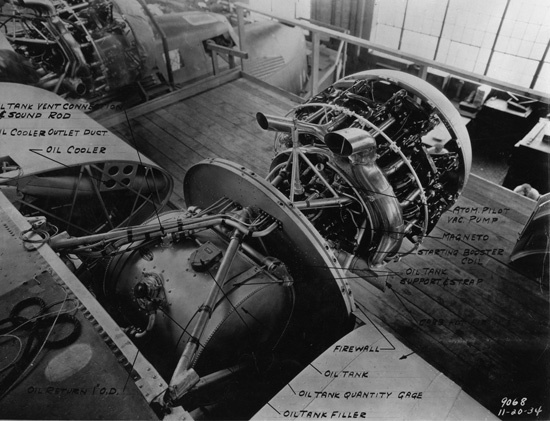 The later models could sustain a maximum 2400 rotations per minute and weighed around 1470 lbs (667 kg). Total production was 178,000. 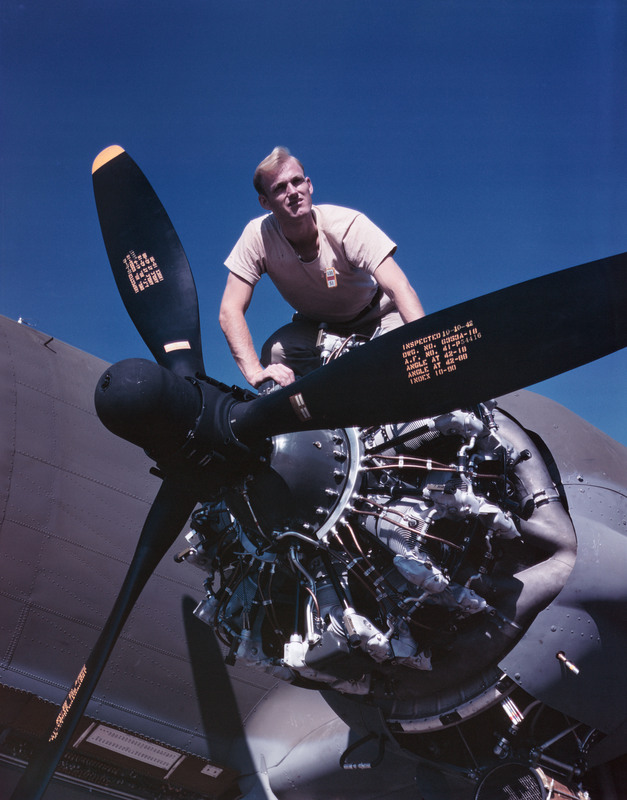 Over 13,464 were built for the C-47 alone. Aircraft using the R-1830 included the P-35, P-36 Hawk, P-43 Lancer, A-28 Hudson, B-24 Liberator, C-47 Skytrain, F4F Wildcat, TBD Devastator, Beaufort, Boomerang, Sunderland, PBY Catalina, and PB2Y Coronado.